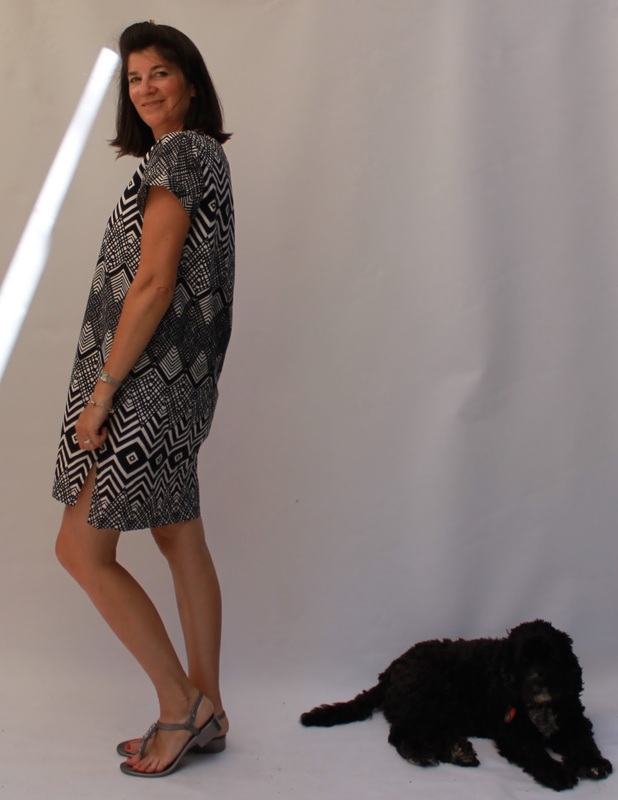 This was a quick little project using one of my favourite patterns - the Named Inari dress. I have made this previously in knit fabric, but steered away from wovens after my first woven muslin was too tight across the shoulders and sleeves. Then, I saw that Carolyn had recently made a woven Inari with a sleeve alteration to give a bit more room. I did the same and voila, it's perfect. Thanks for the tip Carolyn! This lovely black and white cotton fabric is from Textile Traders. I spent some time in front of the mirror working out where to place the pattern for the best effect. I think it worked out OK. The cotton was very lightweight, so I underlined it with white cotton voile to give the dress a bit more substance and allow it to hang better. I originally had the white lining extending to the hem, but I didn't like being able to see the white on the lower back hem, so I hemmed the lining above the side split. My only other alteration was to lower the neckline. 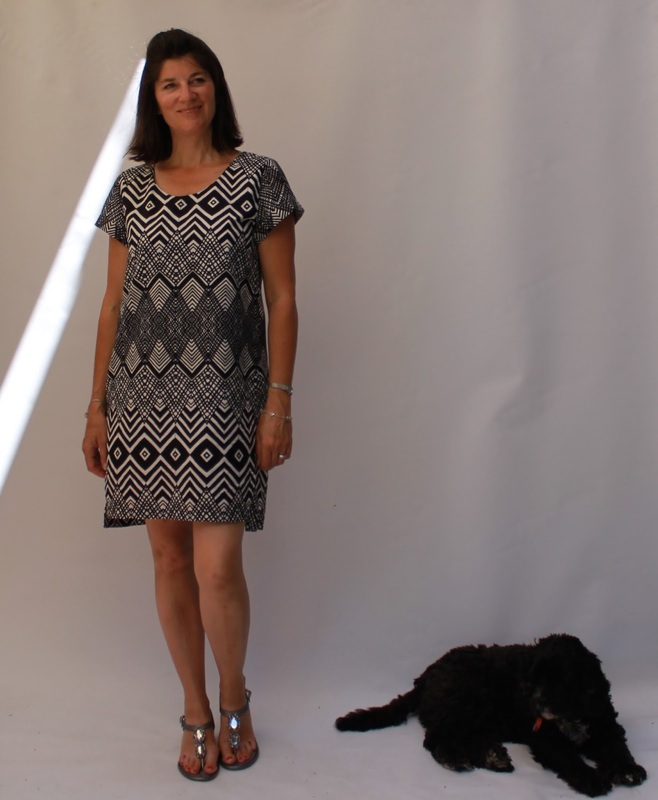 I just love this easy, stylish and comfortable pattern and it's already been worn many times. I'm actually working on another knit Inari in blue and white stripes as I write. I wonder if anyone will notice if I wear the same pattern all summer! This turned on great. I love your fabric choice! I love this Inari dress Meg. Great fabric choice too and I think you placed the pattern perfectly. I have made 7 Inari dresses and I have to admit that I want to make more. On one, my stripe matching didn't work and it is now a nightie and a very comfortable nightie. The Inari pattern is very versatile. Lovely dress, Megan. The pattern is beautiful. I recently made a couple of Inari tee tops in woven fabric and used Carolyn's sleeve alteration. They fit beautifully so I will do the same when I make the dress in cotton soon. I haven't used a knit fabric yet. Did you not need the sleeve alteration when you made the Inari in knit? Love this dress. Perfect print placement with the darker section at waist level. The fit looks very comfortable without any pulling at the shoulder and the neckline is very flattering too. I doubt anyone will notice. This pattern is so classic that it would take on a whole new look with a different fabric. The black and white combination is really smart. This looks absolutely gorgeous on you Megan!! 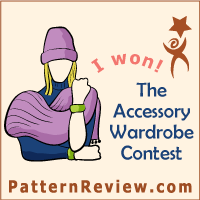 The pattern placement is perfect, and you did an awesome job with the matching too. You look fantastic in black and white.